Corsa GSi, Crossland X Enjoy, Astra Sport... 7 new Opel models headed for South Africa in 2019! The much-anticipated three-door Opel Corsa GSi joins the South African Opel model line-up in May 2019. Although not a pure racing machine, the 110kW turbocharged 1.4-litre engine is said to have a good power delivery, and is mated to a short-ratio, six-speed manual gearbox. Fuel consumption is rated at 6.4-litres/100km. 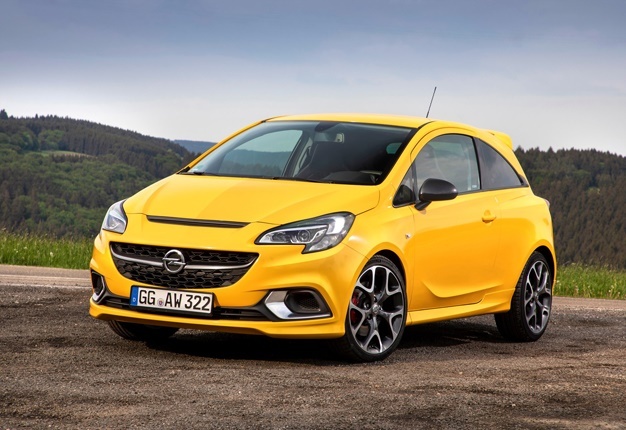 The new Opel Corsa GSI’s OPC sport suspension and brakes (with red calipers) were set up on the legendary Nürburgring to contend with sudden braking and dynamic driving. To top off its looks, the new GSi features 18-inch light alloy wheels. The Corsa GSi has a characteristic sporty design with large air intakes, sculptured bonnet, and prominent rear spoiler. From the front, the new GSi fascia features a large honeycomb grille and in the centre the Opel Blitz badge supported by two wings, with the exterior rear-view mirror housings in racing-look carbon colour. Large, chrome-ringed design elements, which are visually connected in a horizontal line via the black crosspieces running across the front, along with the black traverse cleat on the bonnet, support the impression of a serious road-clinging athlete, says Opel. Amongst many other standard features, the GSi boasts leather cladding, Recaro performance front seats and a sport steering wheel. The new Opel Corsa GSi is priced at R365 900.